Photos above from the Sunday Mail. Don't miss the video's on YouTube below! 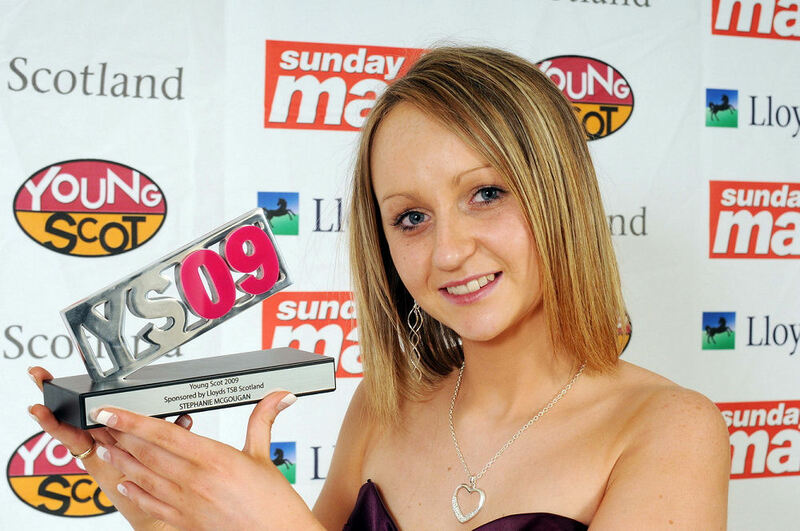 STEPHANIE McGougan, 18, from Maybole has been hailed Scotland's bravest big sister. Her moving story brought tears and a huge ovation from the audience in Glasgow City Halls. 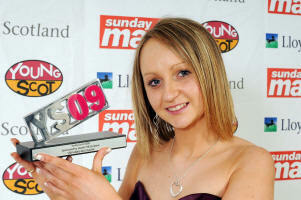 And Stephanie was named Young Scot 2009 at the Sunday Mail/Lloyds TSB Scotland awards. Stephanie’s life fell apart when her mum and dad died within 18 months of each other. She was just 16 at the time, and had to persuade social workers she could bring up younger brother Robert. Two years on, Stephanie has succeeded in her fight to build a stable and loving home for them both. And Robert was first to greet Stephanie when she left the stage clutching her award. She had already picked up the Sunday Mail readers' award. But after winning Young Scot, Stephanie said: "Winning the first award was enough but words can't describe how I felt when I won the Young Scot award. "When I went up to collect it I couldn't say a thing and my mouth was totally dry.” Robert, 16, and Stephanie's boyfriend Andrew Anderson, 19, led the standing ovation with barely a dry eye in the audience. A moving video revealed Stephanie's determination to keep her family together after dad James, 55, died of cancer in 2006. Her mum Rosina, 47, died after an epileptic fit just 18 months later. Robert said: "It's been really hard since our parents died but Stephanie has always been there to get me through. She is one in a million." From hundreds of nominations it was Stephanie's story that moved the judges and touched the hearts of the star-studded audience. The glittering night was hosted by TV presenter Jenni Falconer, who said: “Stephanie is truly inspiring.” Celebrities at the event included Olympian Sir Chris Hoy, while chart-toppers The Saturdays played two of their hits.